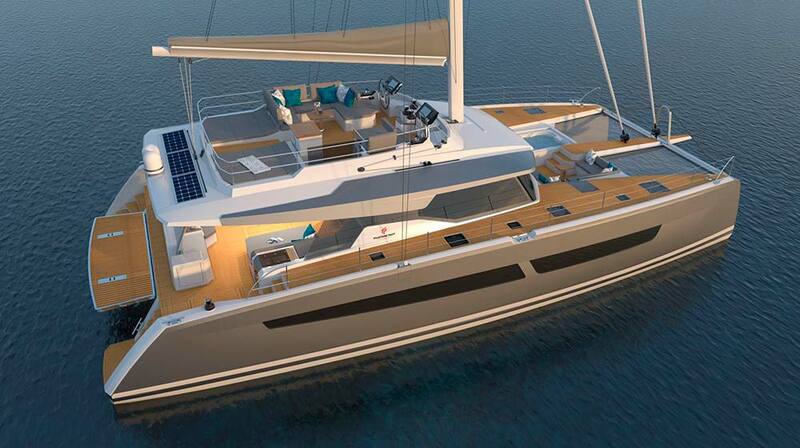 New TradeWinds Flagship coming in 2019! 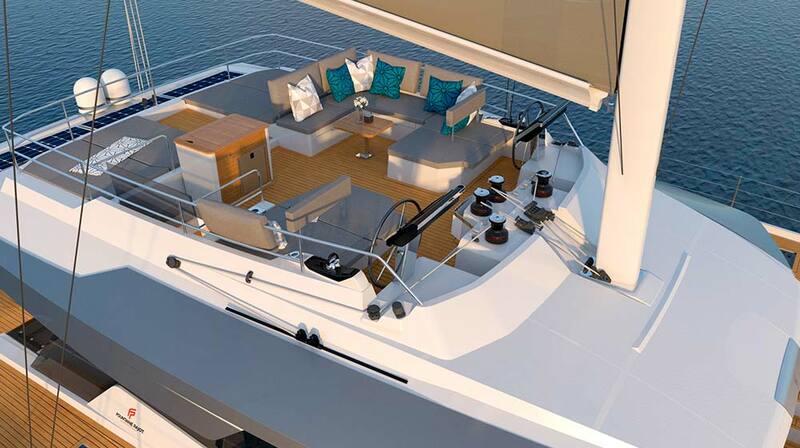 Exquisite, sophisticated, luxury and premier – four words that describe our new and unrivaled Flagship Class, the TradeWinds 70+. 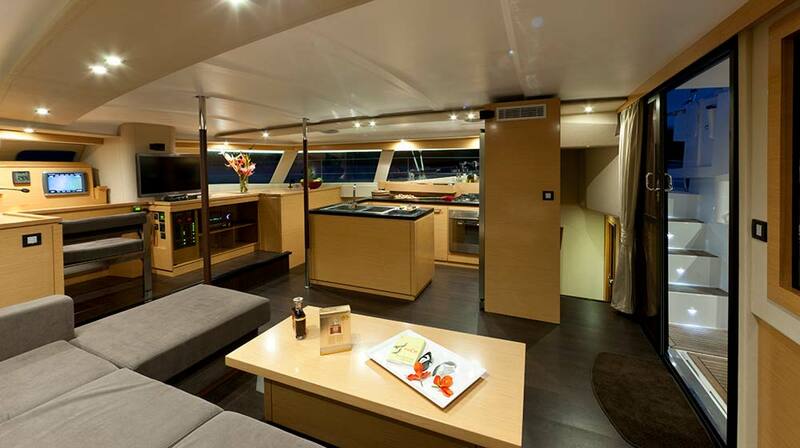 Our Flagship Class catamarans offer the very best style, sophistication and luxury, and this stunning yacht is no exception. 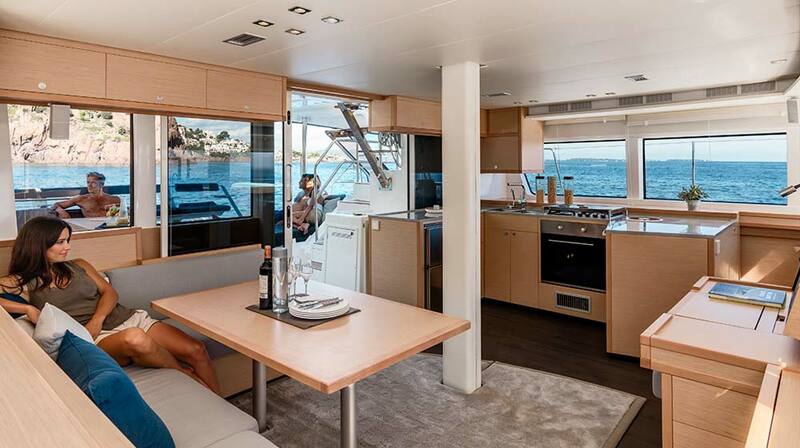 Offering design, speed and high performance with spacious, luxurious accommodation, one of her most exciting features is a Jacuzzi on the foredeck! 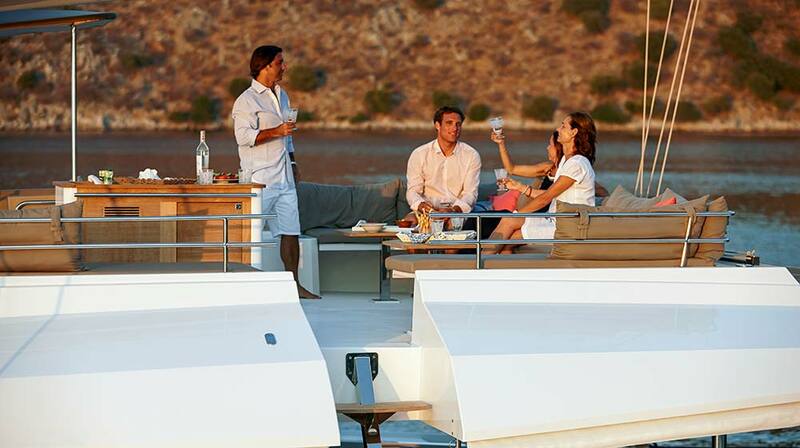 Experience five-star sailing and all-inclusive luxury and decadence on board, like never before. 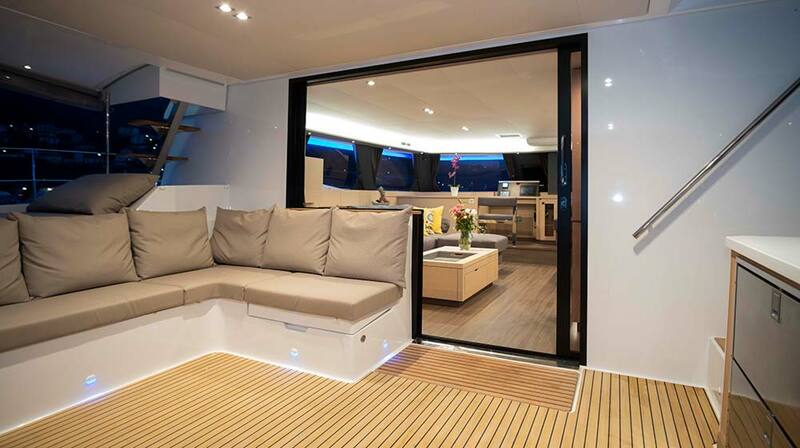 Our new yacht was created in partnership with world-renowned boat designers and builders, Fountaine Pajot. 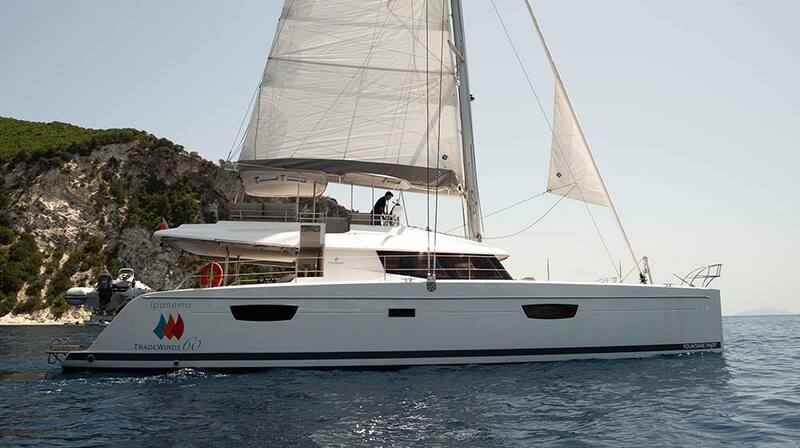 Using our combined extensive knowledge and experience, we have built our custom version of the original catamaran New 67. 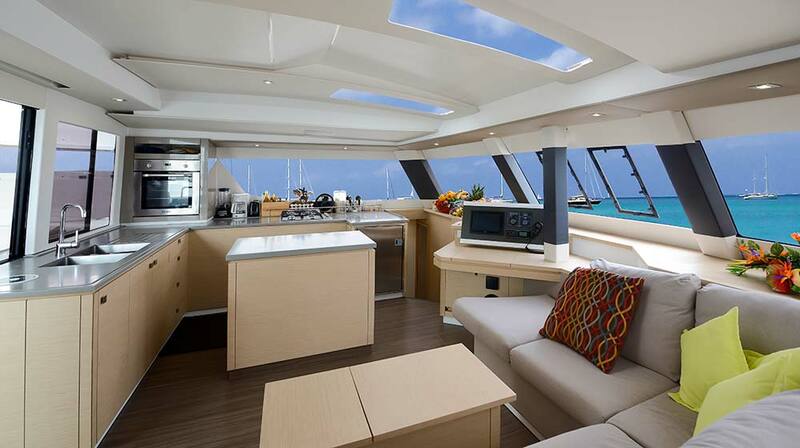 Designed for first-class cruising and furnished for luxury, style, and comfort, the TradeWinds 70+ includes a considerable flybridge, spacious cockpit and saloon - perfect for both entertaining and relaxing while at sea. 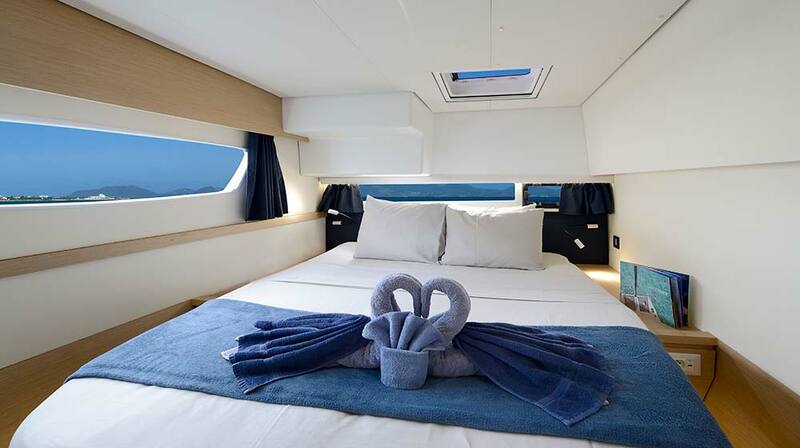 Offering spacious accommodation for up to 10 guests, she comprises five cabins, including an expansive Premium Stateroom with a king-sized bed and four luxury cabins, each beautifully furnished with ensuite bathroom and shower. 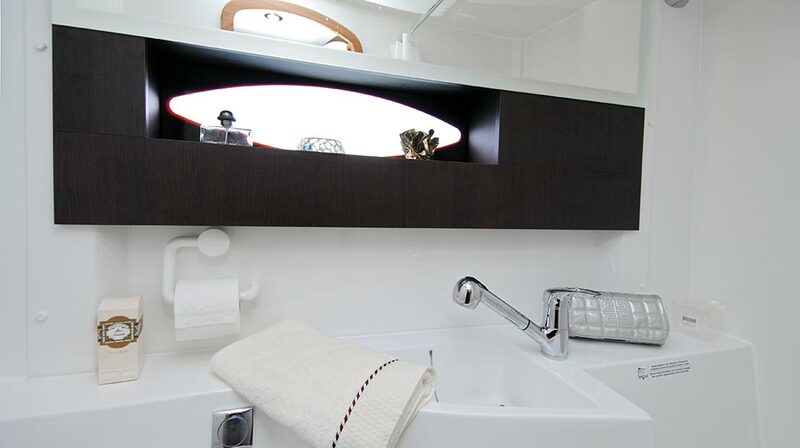 Our professional crew of three or four will pamper your every need, so you can enjoy a luxury, all-inclusive five-star experience, including gourmet delights and fine wines, while your Captain takes you on a journey of discovery. 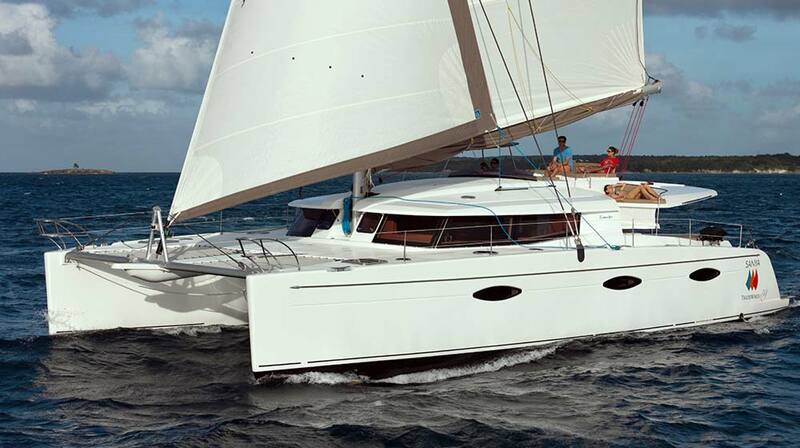 For those looking for high performance, elegance, and excellence, then the TradeWinds 70 offers a truly sublime sailing experience. 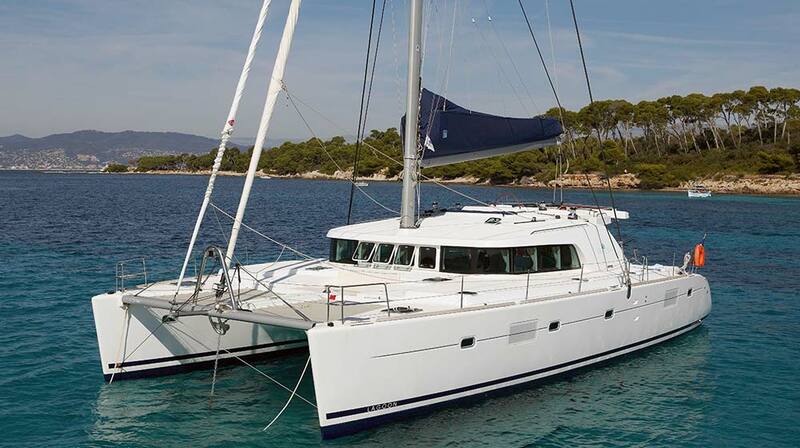 A custom version of the Fountaine Pajot Victoria 67, this Flagship Class catamaran couples cutting edge contemporary design with performance and wonderfully spacious cabins. 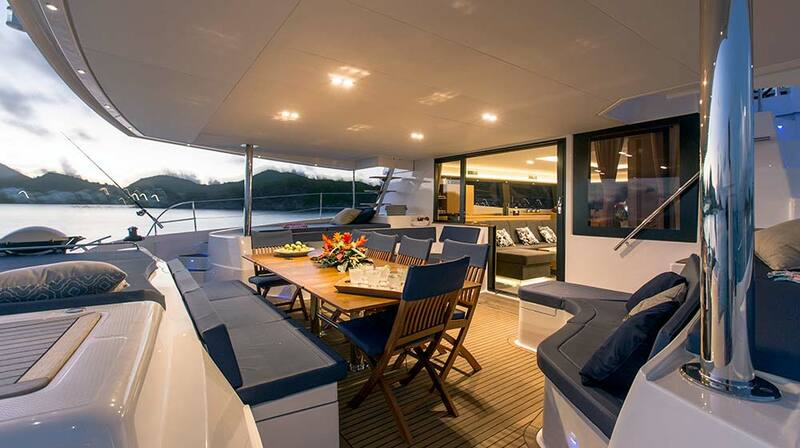 From attractively decorated interiors to a magnificent and unrivaled fly deck, the Aletheia TradeWinds 70 is the ideal yacht for guests looking to set sail in the ultimate in luxury, style and comfort. 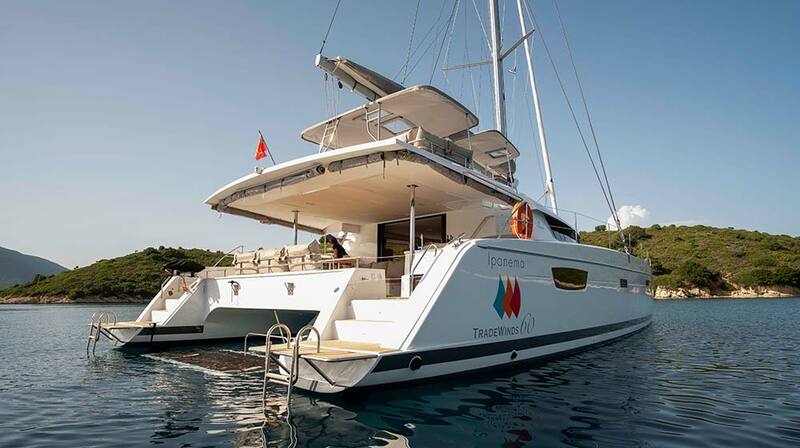 As soon as you step aboard the TradeWinds 70, you’ll understand what makes this Flagship catamaran so incredibly special and superior. 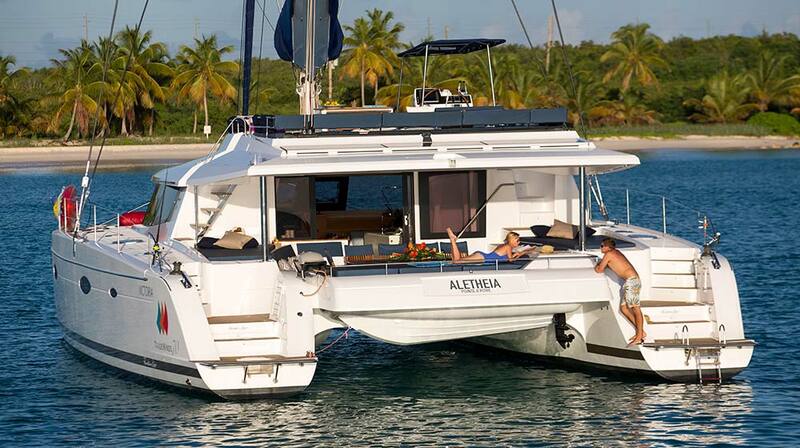 Built by world-renowned Fountaine Pajot, Aletheia boasts unrivaled size, quality, performance and luxury. 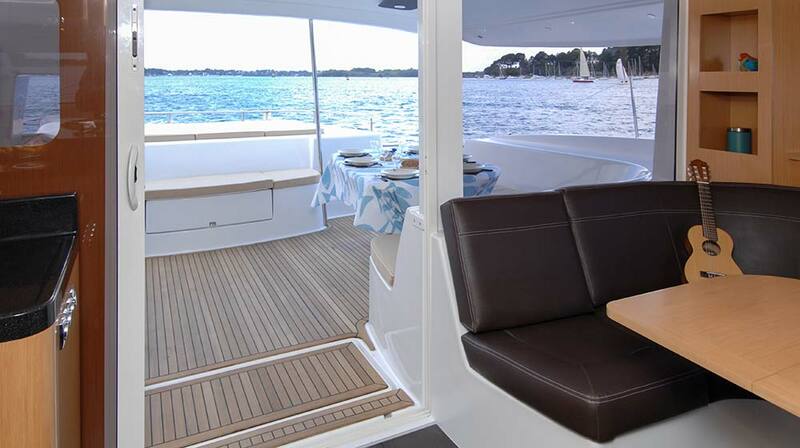 Designed for first-class luxury, relax in the sun on the trampoline or watch the sunset over the horizon with a cocktail in hand on the magnificent and expansive flybridge. 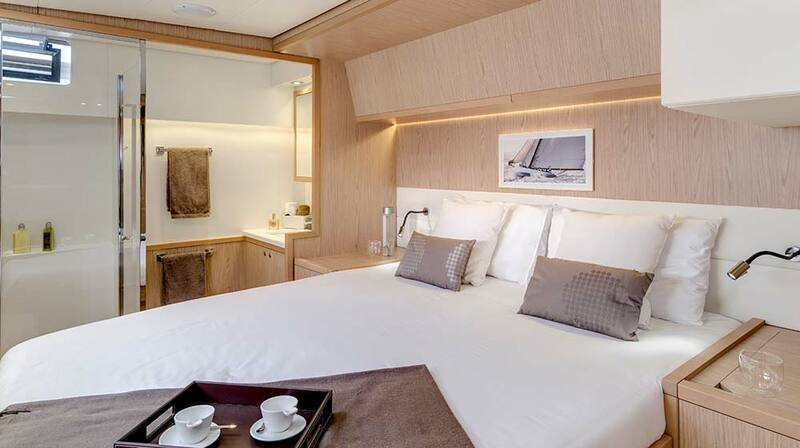 Offering spacious accommodation for up to 8 guests, Aletheia comprises an expansive Premium cabin with a king-sized bed and three luxury cabins, each beautifully furnished with ensuite bathroom and shower. 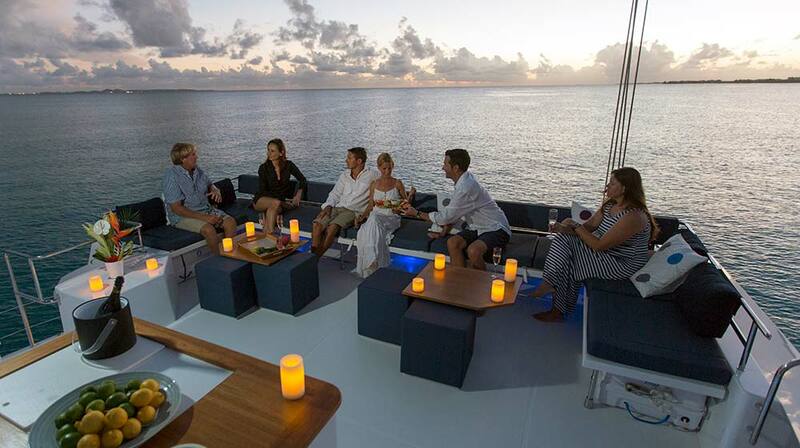 With a professional crew of three or four to pamper your every need, sit back and relax as you experience a TradeWinds all-inclusive Flagship Class luxury cruise with sumptuous gourmet cuisine and the finest wines. 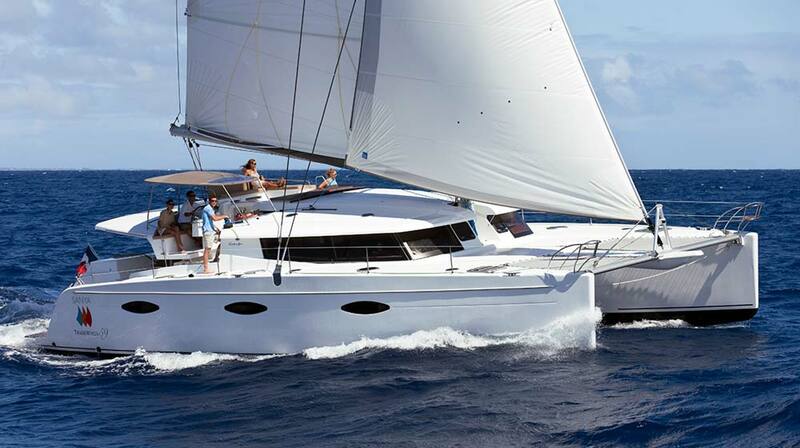 Step aboard the New Beginnings TradeWinds 70 and discover our Flagship Class cruises for an ultimate sailing experience like no other. 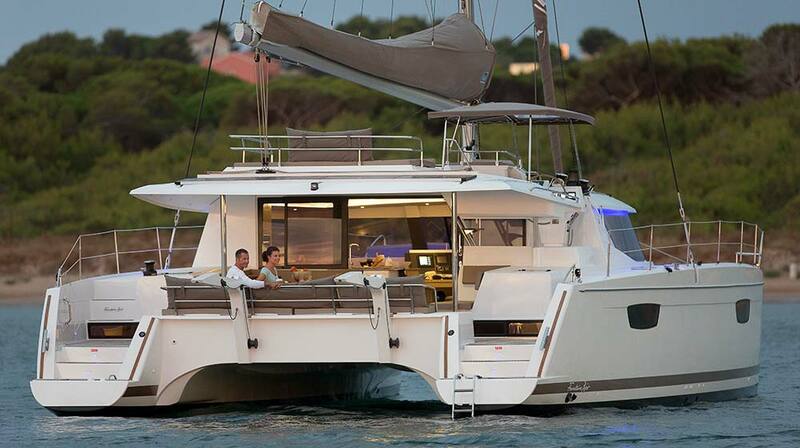 A custom version of the Fountaine Pajot Galathea 67, New Beginnings has been designed with luxury, high performance, and quality in mind and combines cutting-edge contemporary style and luxurious interiors. 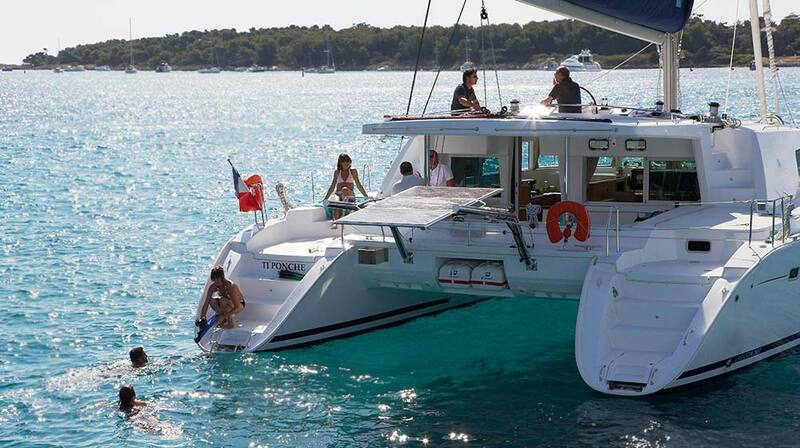 Ideal for both island hopping and longer sea cruises, this is the ideal yacht to set sail for a dream vacation of fun, relaxation and adventure! 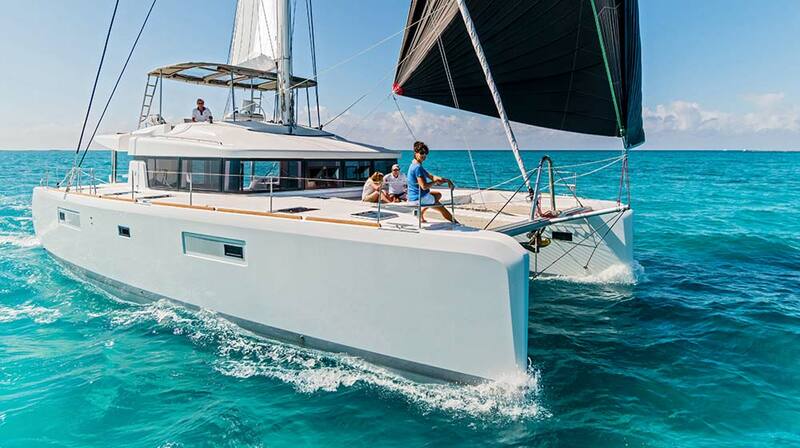 As soon as you step aboard New Beginnings, you’ll discover why this Flagship catamaran offers an incredible and superior sailing experience. 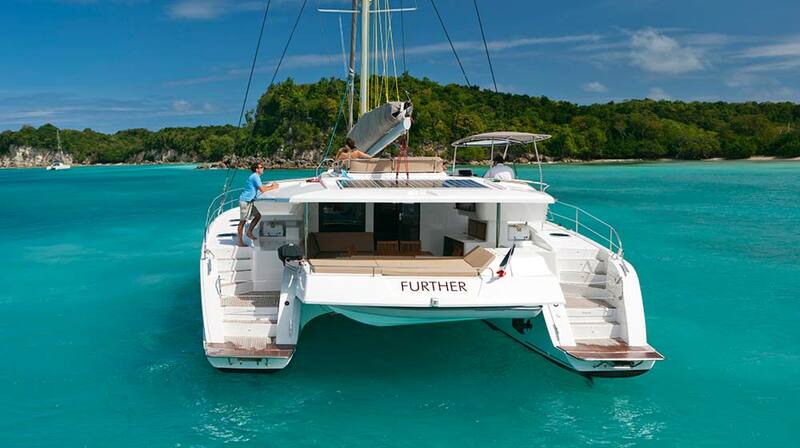 Designed by world-renowned Fountaine Pajot, she boasts beautifully spacious, luxury interiors, and is designed for performance and power. 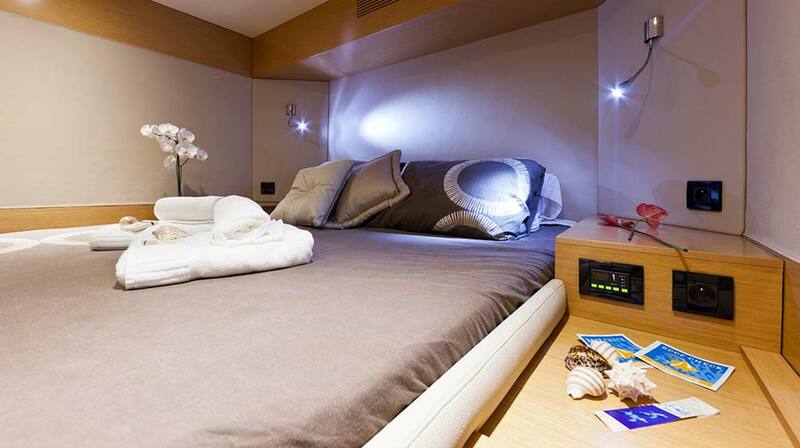 Dive into crystal clear waters, try your hand at stand-up paddle boarding or just relax on deck and catch some rays before returning to your luxury private cabin with a queen-sized bed and beautifully furnished ensuite bathroom and shower. 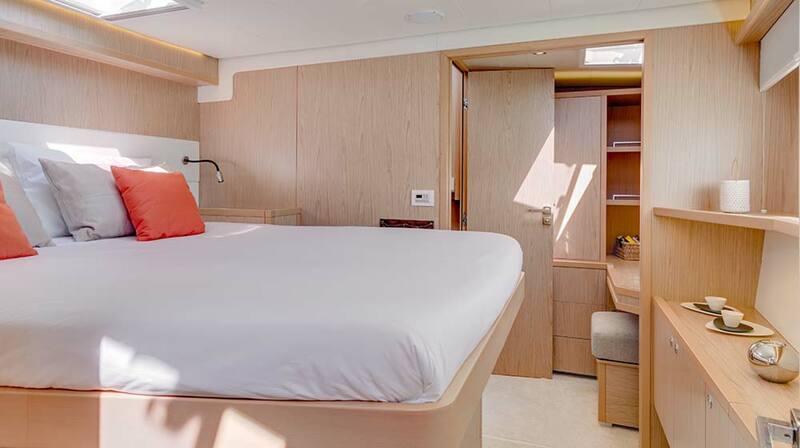 New Beginnings offers spacious accommodation for up to 10 guests, however, please note that only five cabins are available on shared cruises. 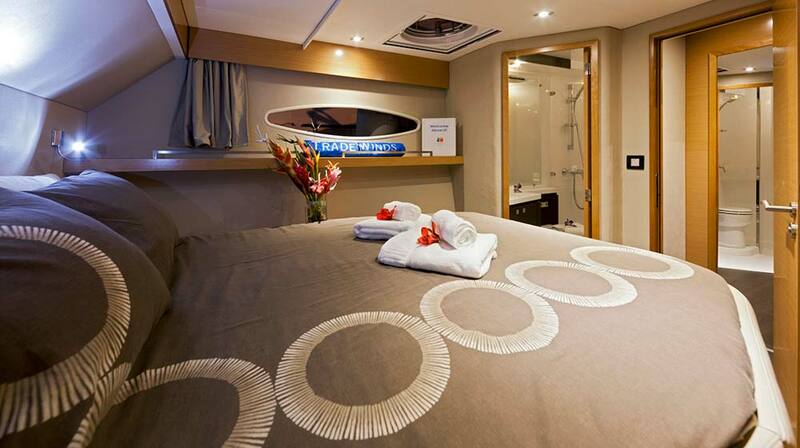 With a professional crew of three or four to pamper your every need, experience a TradeWinds all-inclusive Flagship Class luxury cruise with sumptuous gourmet cuisine and the finest wines. 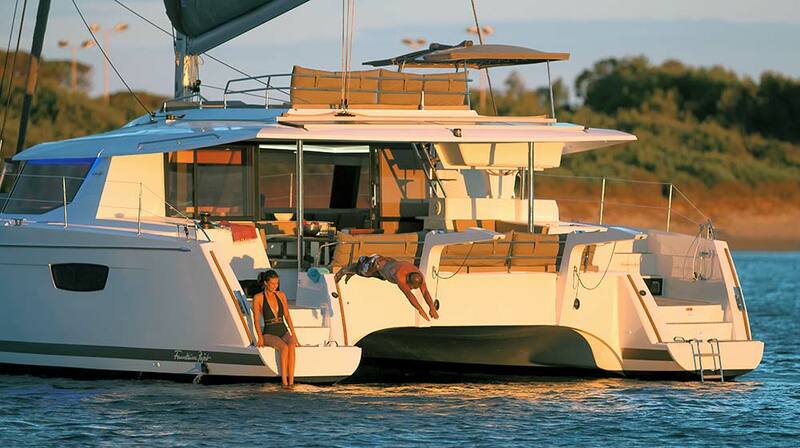 Superior sailing requires a sensational yacht and the Luxury Class TradeWinds 60 reigns supreme. 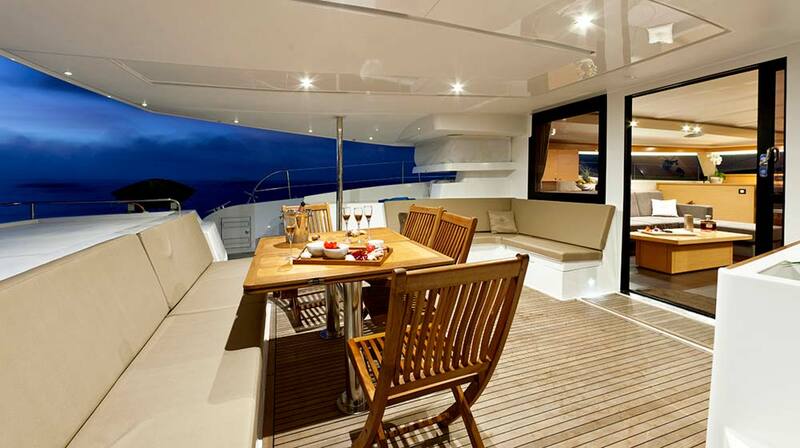 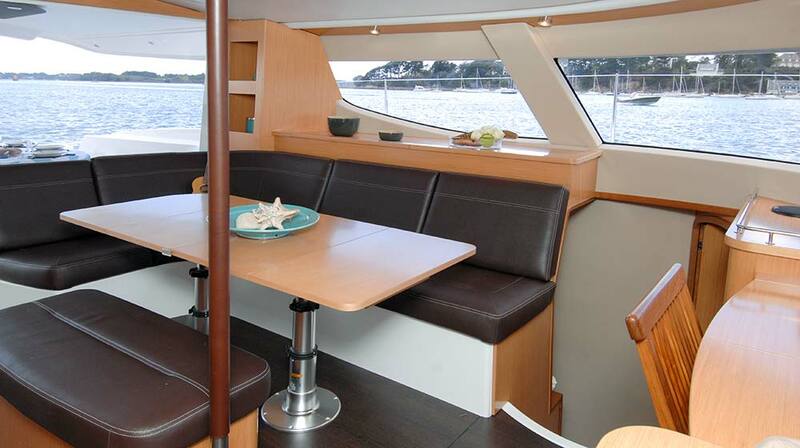 This elegant, high performing catamaran has been designed for those who enjoy sailing in great comfort and style. 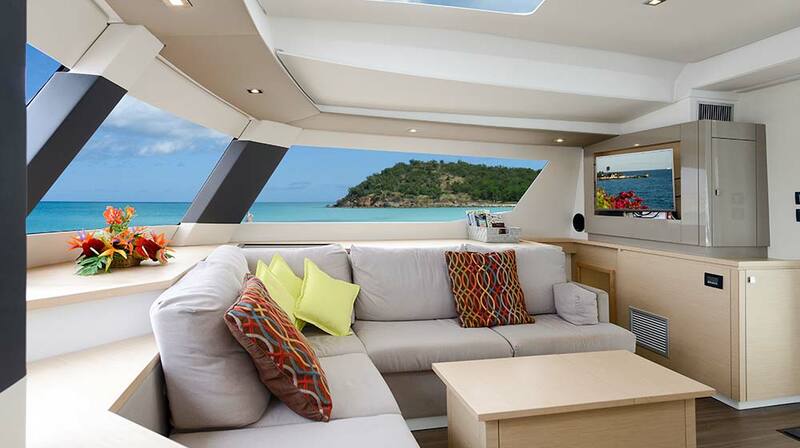 This new model includes a full flybridge, making it ideal to enjoy Captain’s Cocktails while watching the sunset. 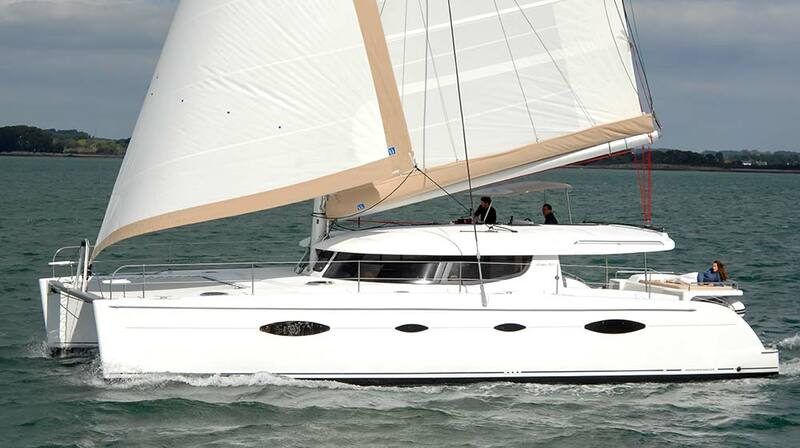 Stylish, high performing and accommodating between 8-10 guests, this is the ideal cruising yacht for those looking to indulge in a superior sailing experience. 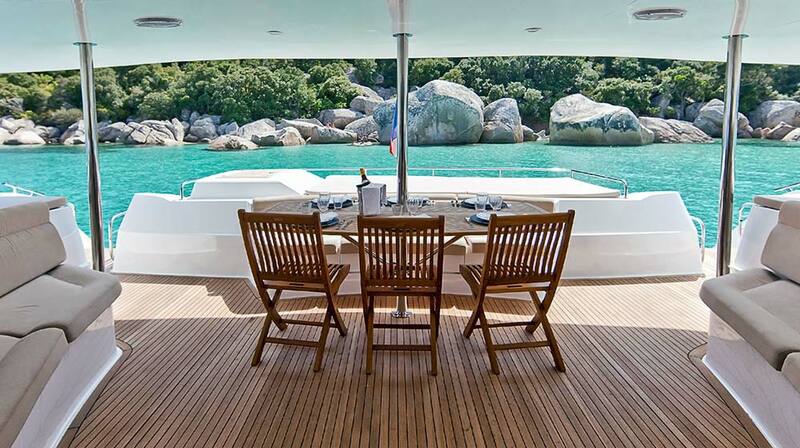 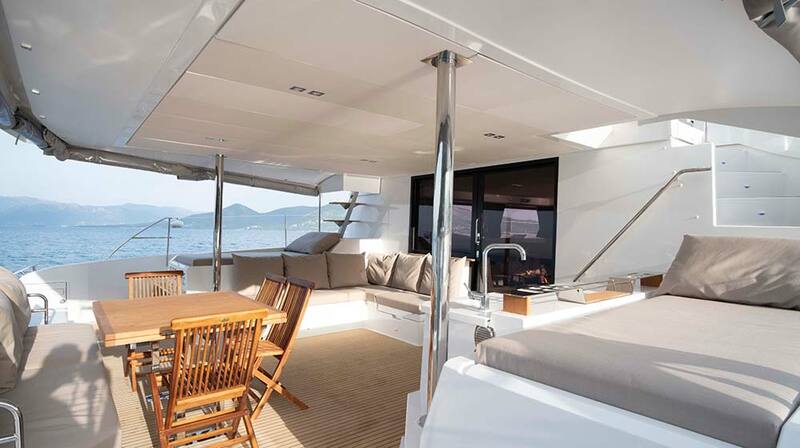 The saying goes ‘that the world is your oyster’ and it most definitely is with the TradeWinds 60! 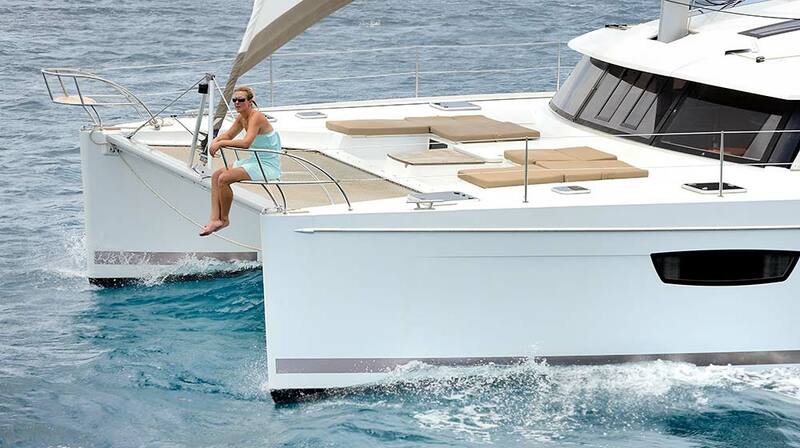 Developed and designed in partnership with world-renowned Fountaine Pajot, and using our combined extensive knowledge and experience, we have created the most exceptional luxury, spacious, and high performing yacht. 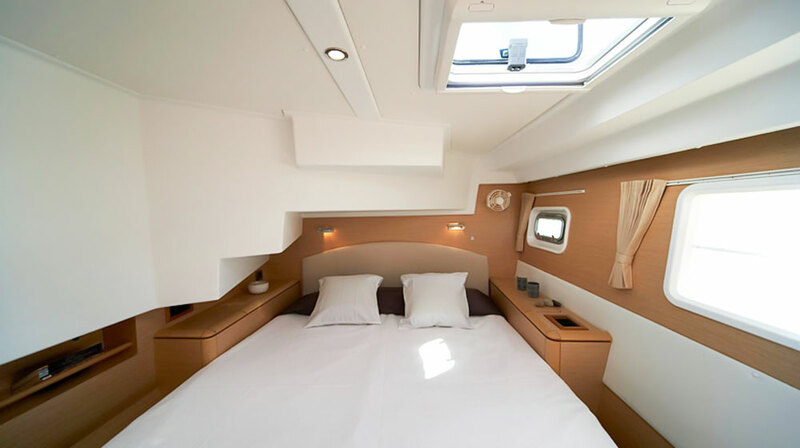 The Standard TradeWinds 60 has six cabins; five of which are available to you for charter while one cabin is reserved for your crew. 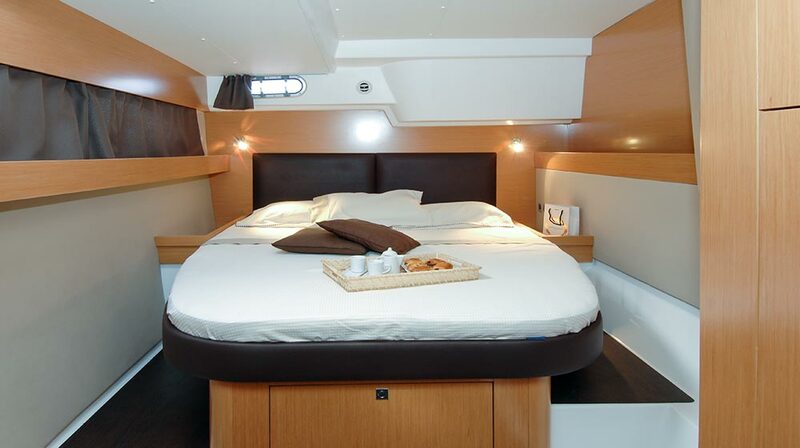 The Master TradeWinds 60 comprises five cabins; one expansive Premium Stateroom with king-size bed and four of the luxury cabins while one cabin is reserved for your crew. 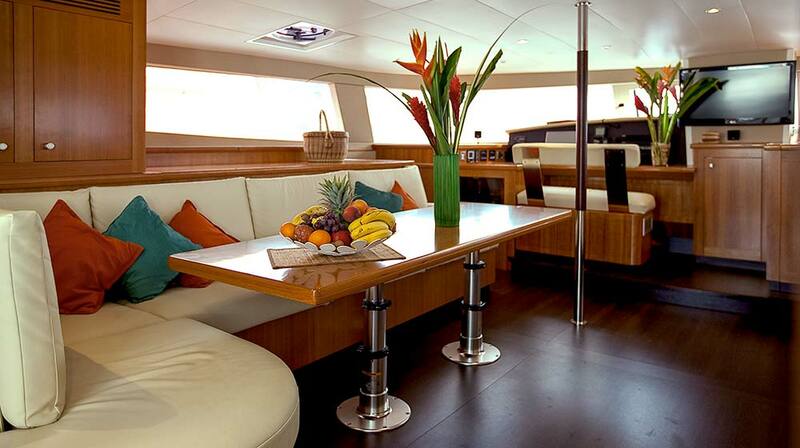 Let our professional crew of Captain and First Mate/Chef look after your every need from the moment you step on board until the moment you reach the shore. 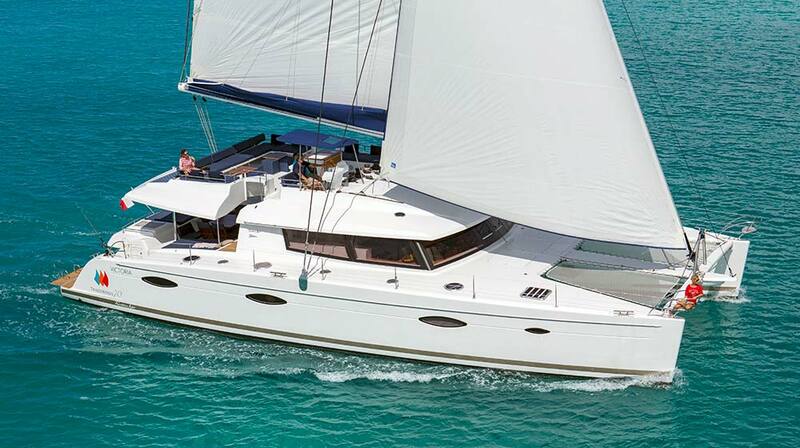 Our highly successful TradeWinds 59 was initially introduced in 2012 and has since become a firm favorite with our Members and guests. 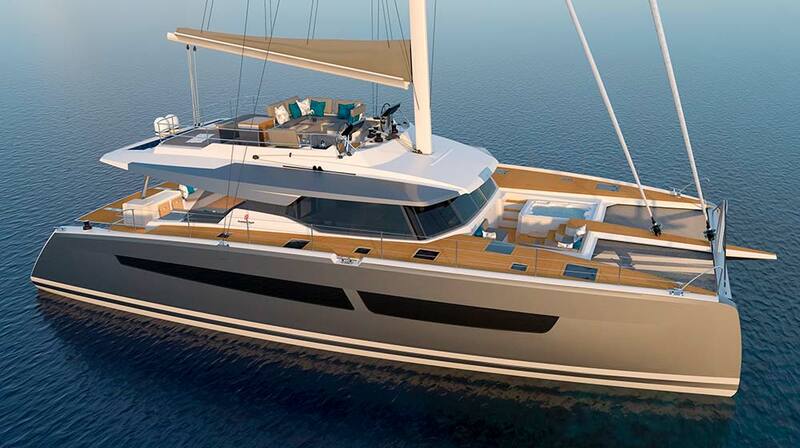 Conceptualized by TradeWinds in cooperation with the design team at Fountaine Pajot, her beauty and style is admired at anchorages around the world. 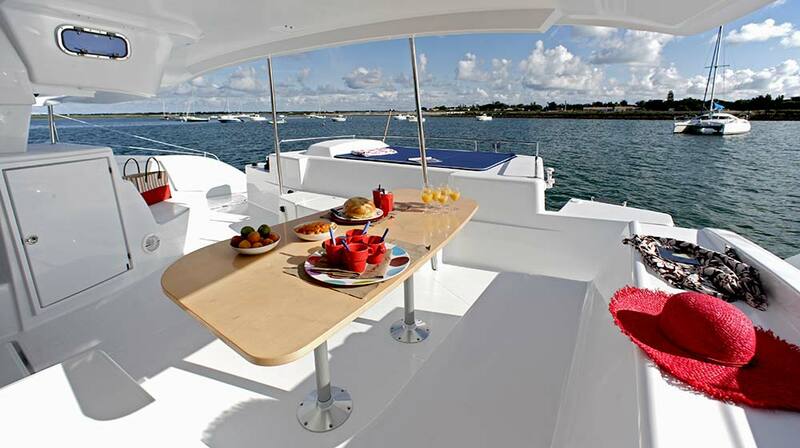 This high performing and stylish yacht has accommodation for up to 10 guests, making it ideal for all-inclusive, luxury private charters to celebrate a special occasion with family and friends. 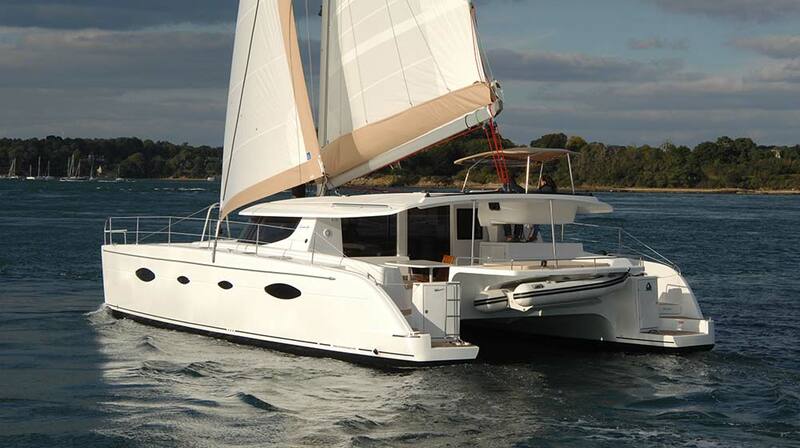 The TradeWinds 59s are exclusively designed and built by French boat builders Fountaine Pajot. 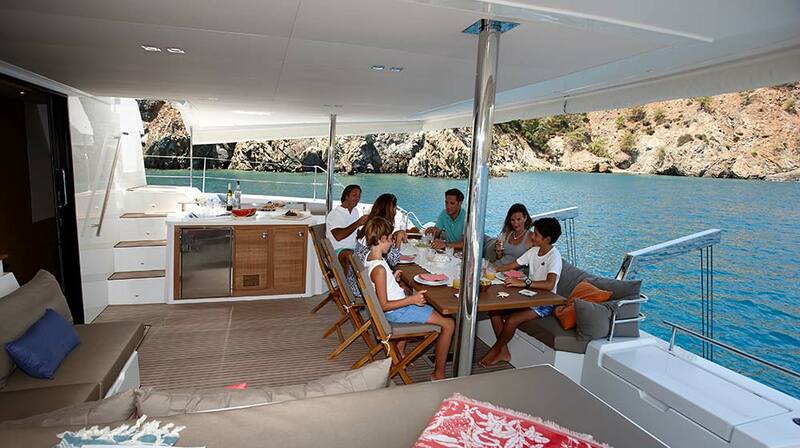 Every yacht in this range shares the same specification, except for a few cosmetic details, individual to each boat. 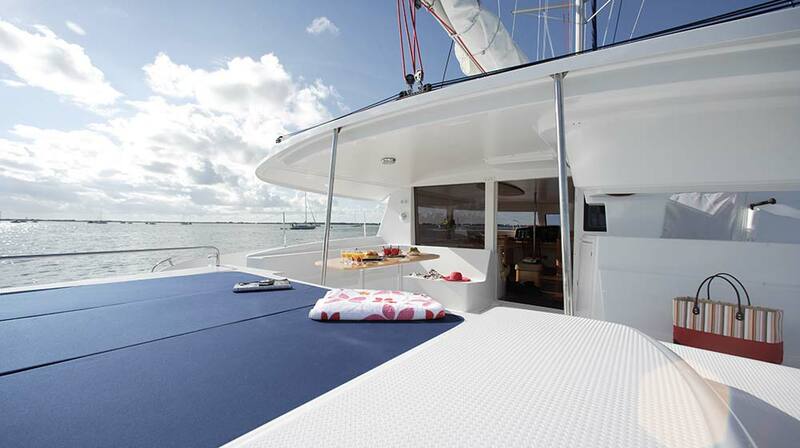 Spacious and comfortable, the TradeWinds 59’s living space makes it the ideal yacht for both scenic island hopping and long-haul trips. 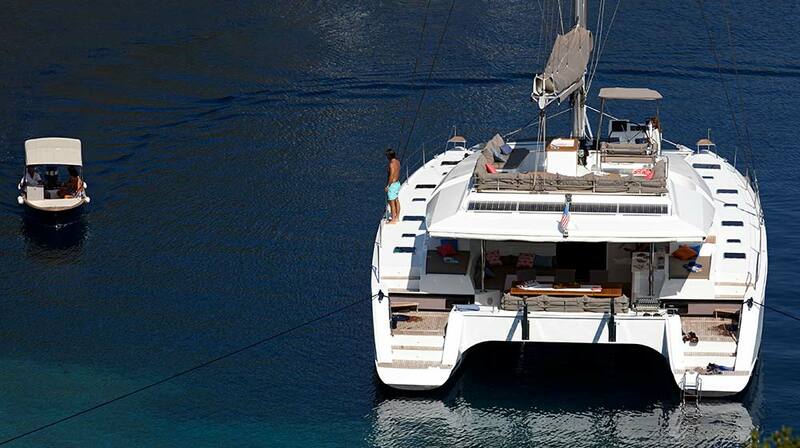 Perfect if you want to relax or dive in and explore coral reefs and gardens with the onboard equipment. 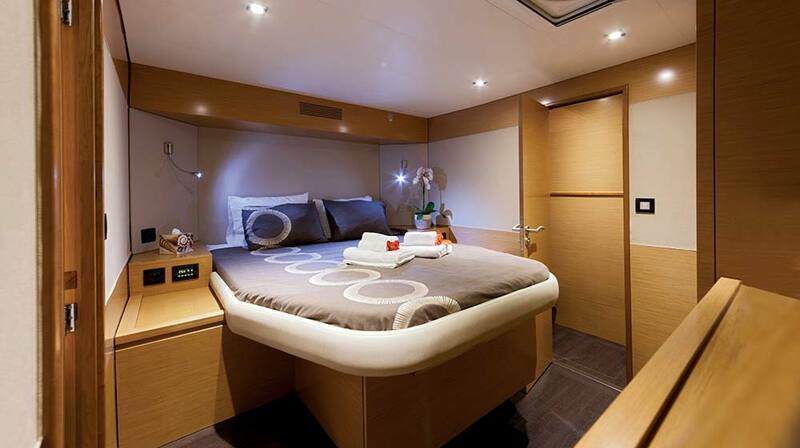 Offering an impressive level of luxury throughout, the TradeWinds 59 has five spacious luxury cabins each of which has queen-sized island beds, room controlled air conditioning, ensuite shower, and bathroom. 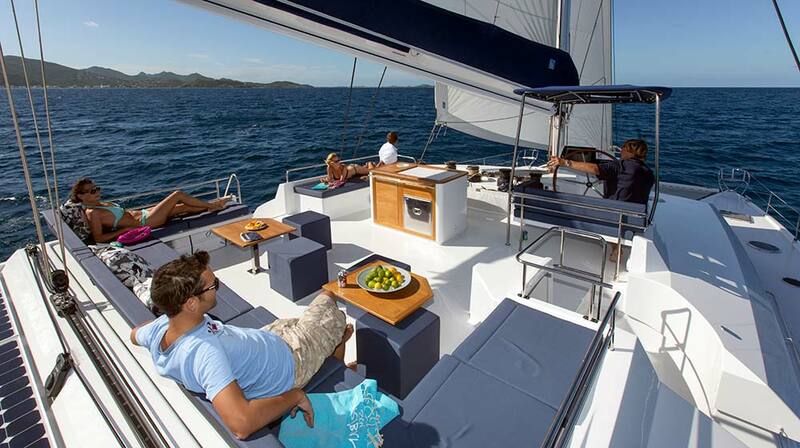 Our dedicated crew of two, a Captain and First Mate/Chef, will look after your every need as part of your all-inclusive Luxury Class cruise on the TradeWinds 59. 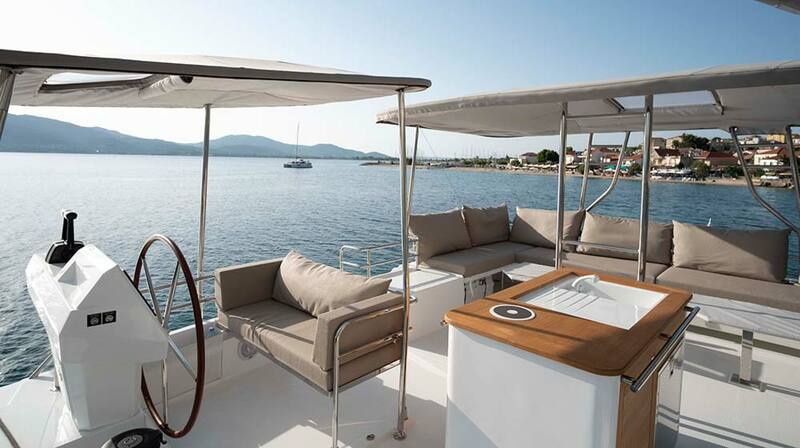 We’ve recently welcomed two brand new Luxury Lagoons to our ever-expanding fleet. 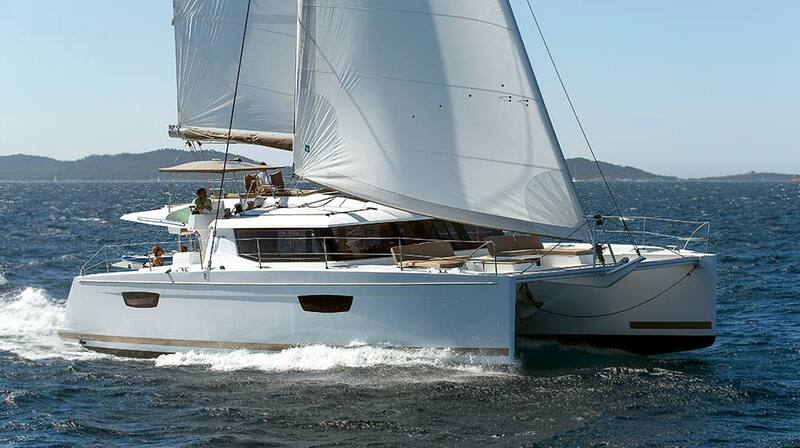 Sailing under the Luxury Class level and similar in layout to the Master version of the TradeWinds 60, the Luxury Lagoon has been built for elegance, comfort, style and sailing performance. 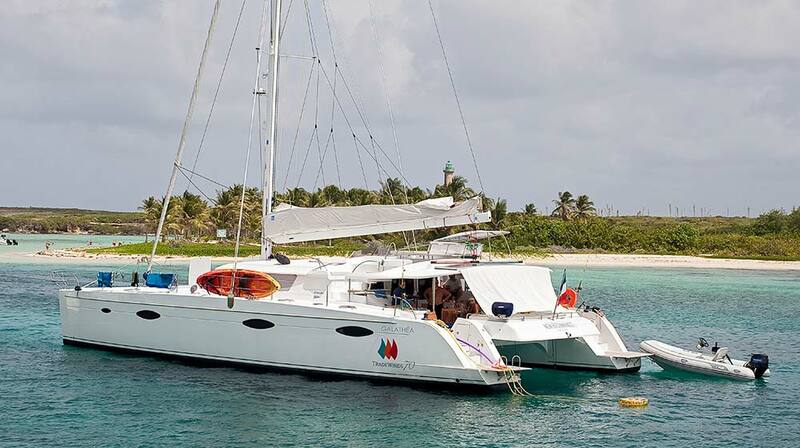 Ideal for both shared and private charters and with accommodation for up to eight guests, the Luxury Lagoon is the perfect catamaran for island hopping around the captivating Caribbean islands. 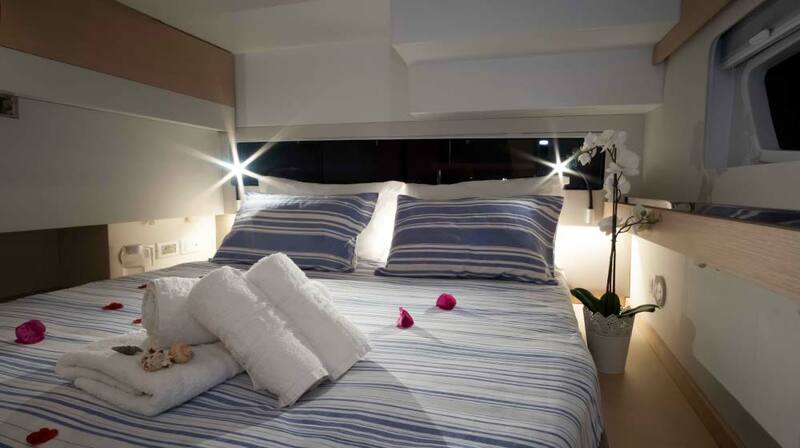 The Luxury Lagoon is ideal if you want to book your dream vacation by the cabin or by the boat! 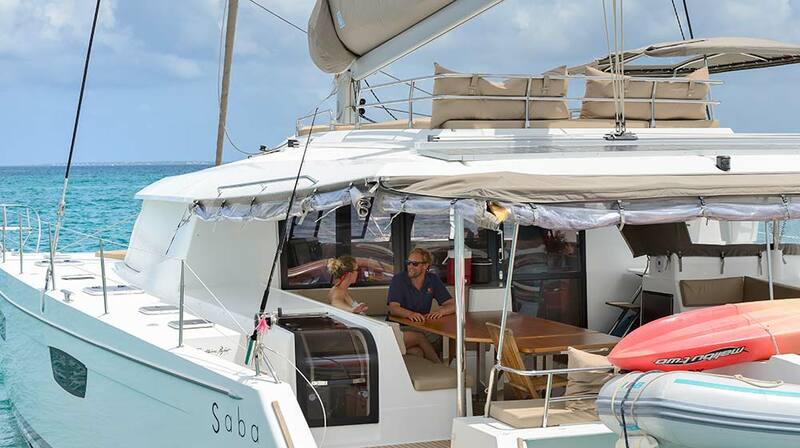 Our new Luxury Class catamarans offer comfort, style, and luxury, so you can discover beautiful beaches, uninhabited islands, daring dive sites all from the comfort of your yacht. 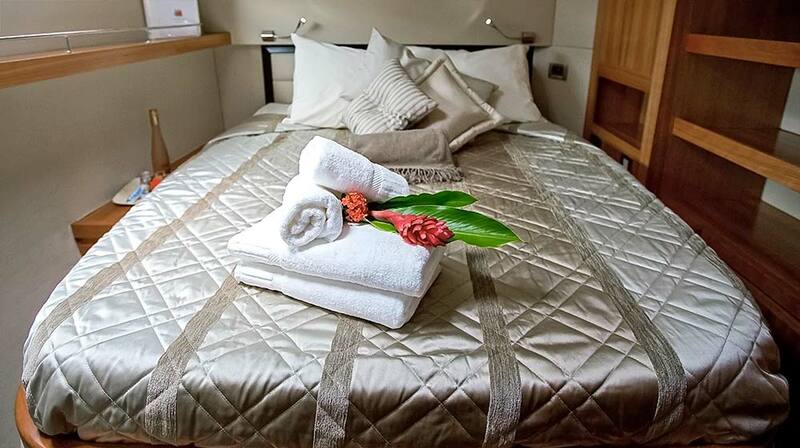 With spacious accommodation for up to eight guests, she comprises four luxury cabins, including one Premium cabin with a queen-sized bed and three spacious cabins, and each luxury cabin is beautifully furnished with ensuite bathroom and shower. 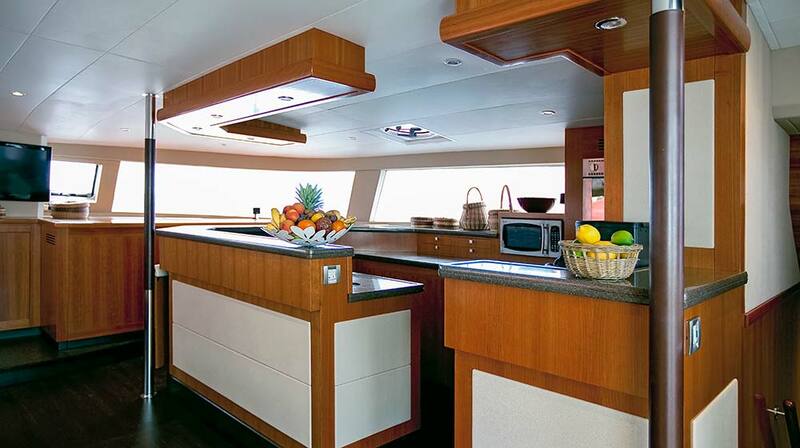 With a professional crew consisting of Captain and First Mate/Chef, enjoy a luxury, all-inclusive five-star experience, including gourmet delights and fine wines. 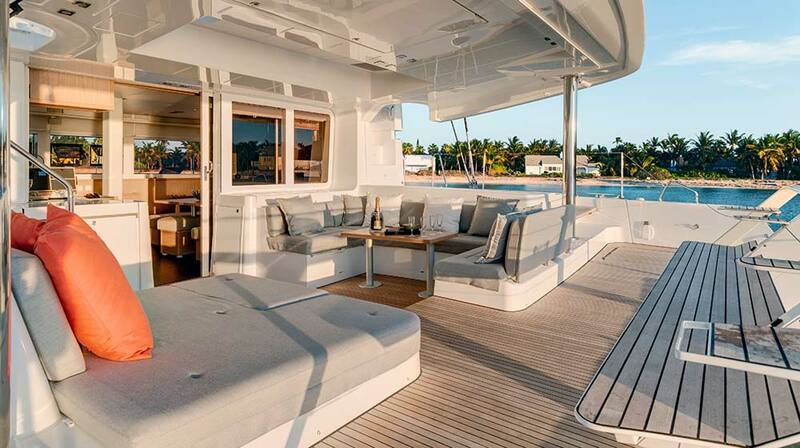 We’ll look after your every need; from the moment you join us until the moment you step back on shore. 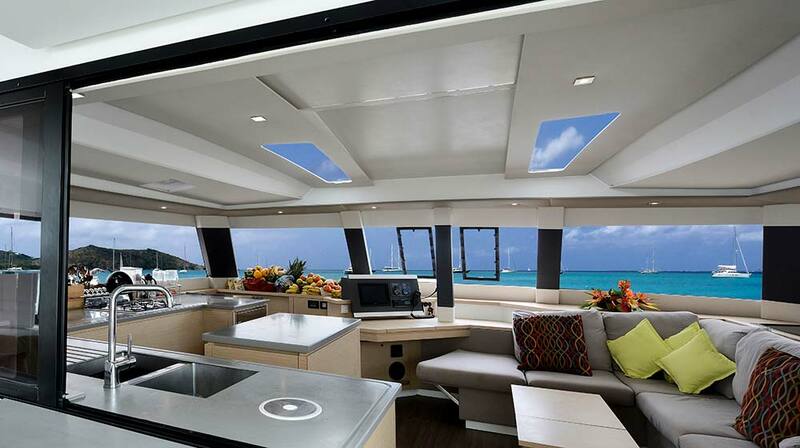 The TradeWinds 52 has been masterfully designed to maximize the ultimate in both light, space, and comfort. 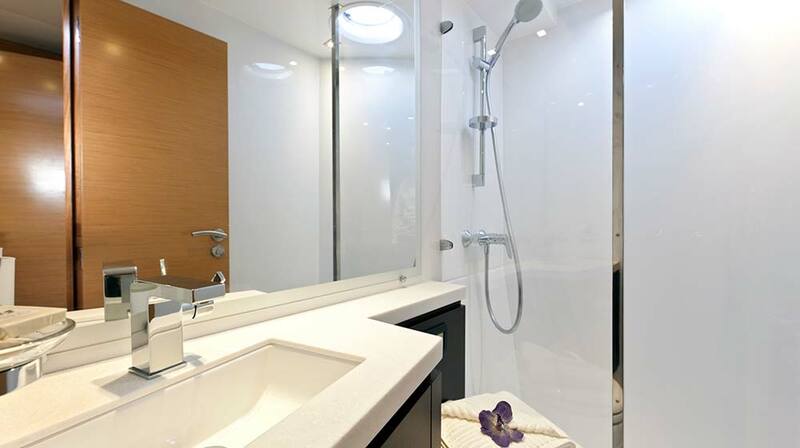 Accommodating up to 10 guests, depending on your chosen layout, you’ll experience the true meaning of luxury, as your professional team of two looks after your every need. 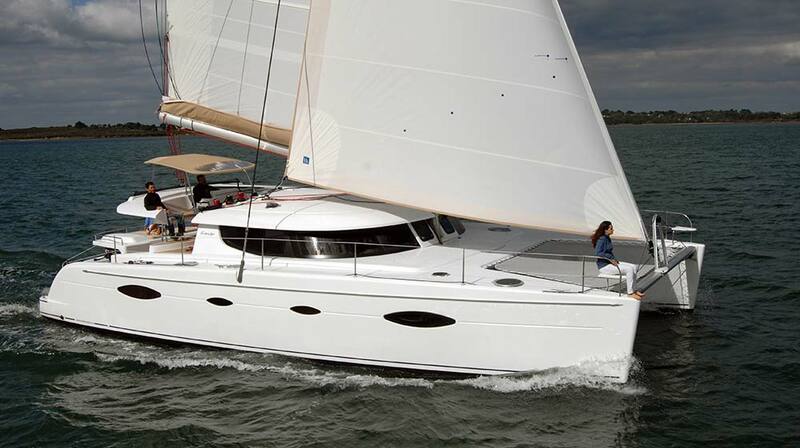 First introduced to our fleet in 2015, the TradeWinds 52 combines performance and design - and what we consider to be an amazing new benchmark for Cruising Class sailing with TradeWinds. 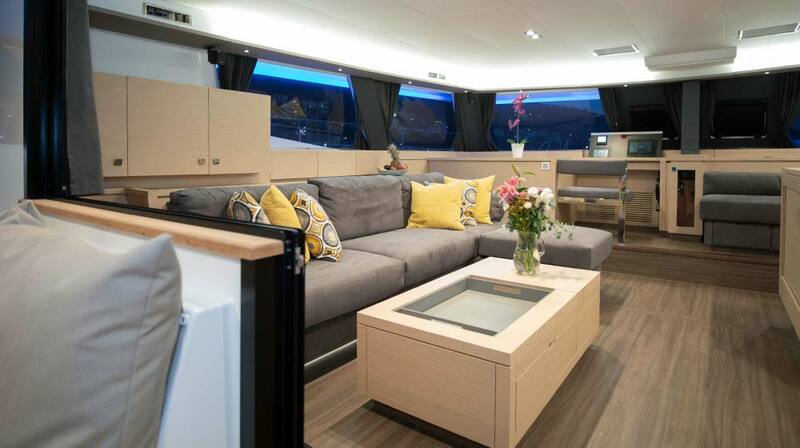 Comfortable and spacious, and built for speed, the TradeWinds 52 provides the perfect shade for reading or sitting and enjoying stunning views while underway. 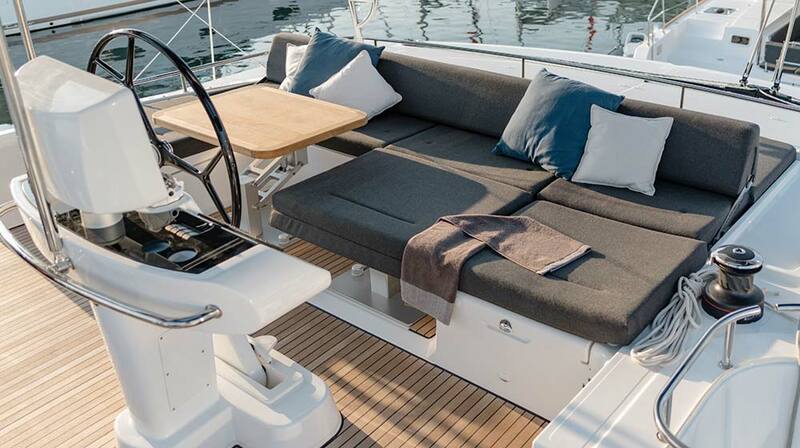 Take the helm, or sit back and relax in comfort on the flybridge – the ultimate viewing platform whether at sea or while star gazing as the night falls. 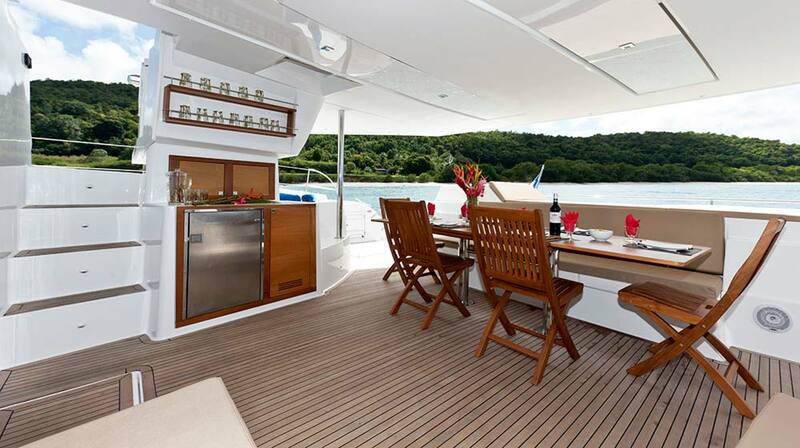 The Standard TradeWinds 52 has six cabins; five of which are available to you for charter, while one cabin is reserved for your crew. 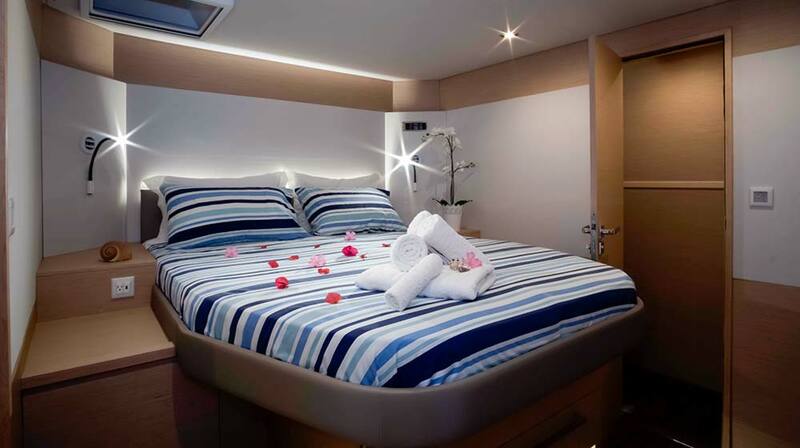 The Master TradeWinds 52 has five cabins; including an expansive Premium cabin and four of the luxury cabins are yours to charter, while one cabin is reserved for your crew. 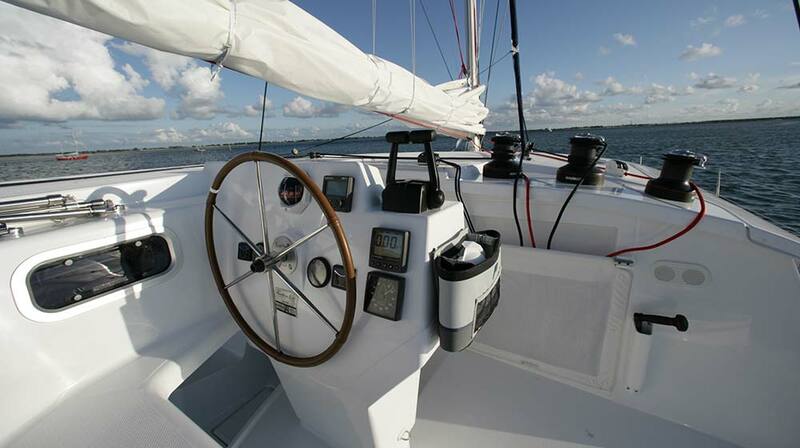 Let your dedicated professional team of two looks after your every need from the moment you step on deck, until the moment you return to shore. 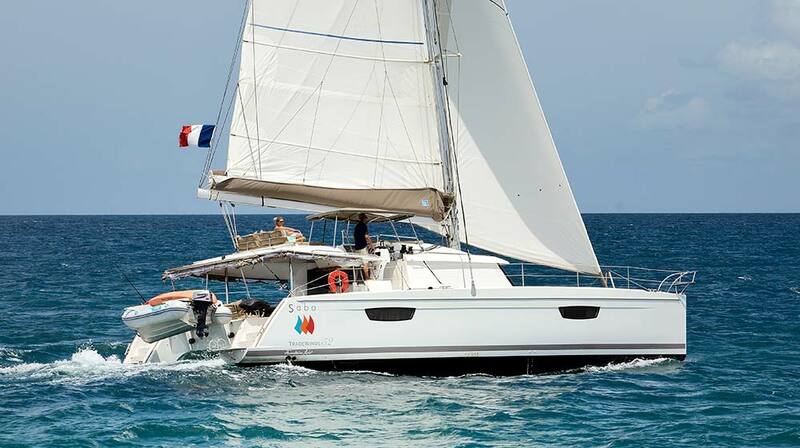 No less impressive than our Flagship and Luxury Class yachts, our range of Cruising Class catamarans offer high performance, speed, and comfort. 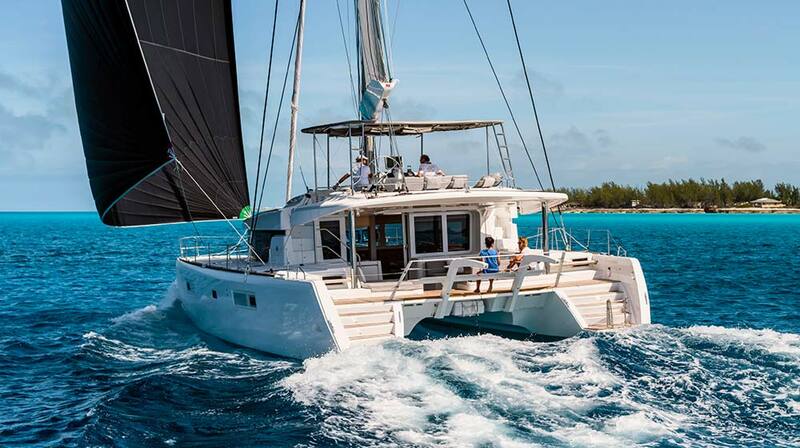 The TradeWinds 50s are equally at home in blue water sailing as they are for island hopping around the Caribbean. 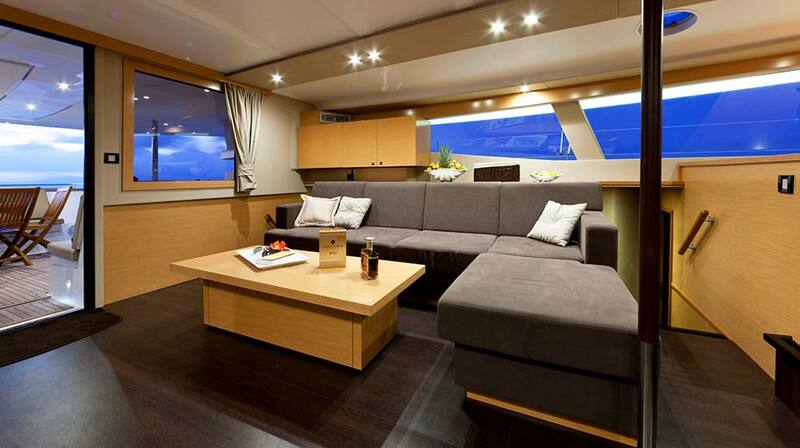 Light, spacious and with high-level performance the TradeWinds 50 offers you all the pleasures of the sea, both under sail and at anchor where relaxation goes hand in hand with comfort and enjoyment! 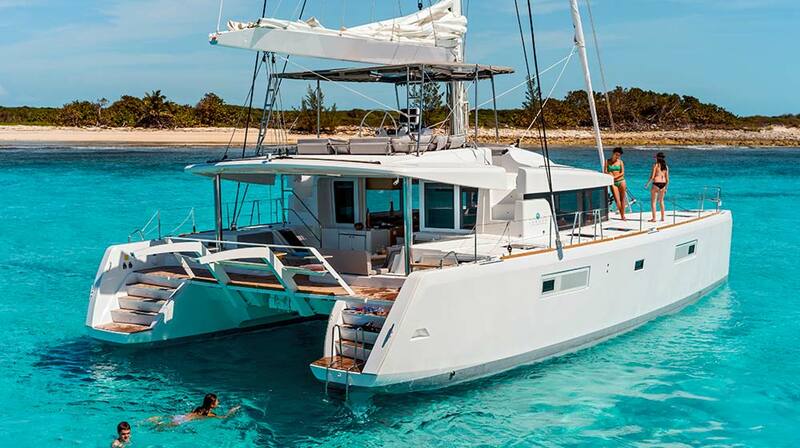 Custom built by world-renowned boat builder Fountaine Pajot, the TradeWinds 50 are 50 feet of luxury catamaran and are equally at home in blue water sailing as they are for island hopping. 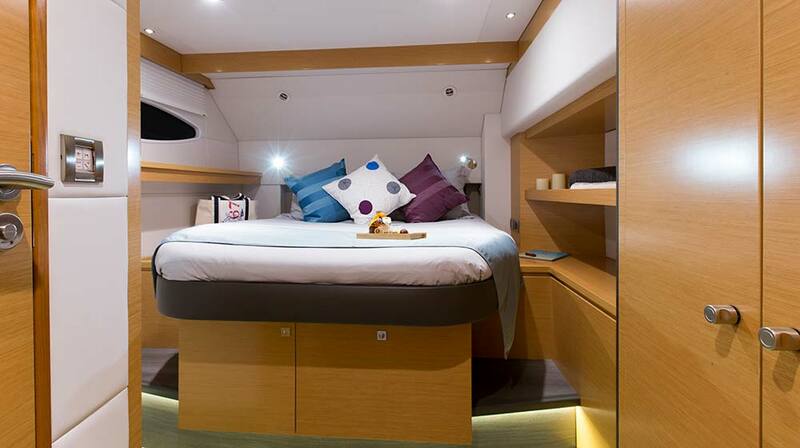 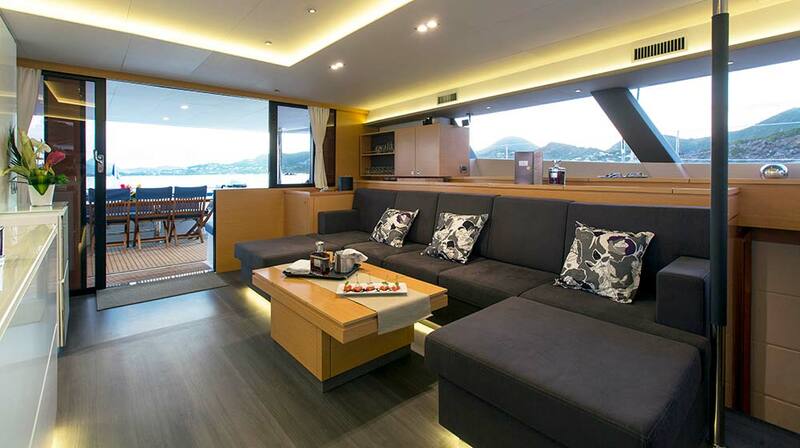 The space onboard has been optimized to provide magnificent accommodation and the saloon and cockpit have generous storage areas, as do the passageways, and the light-filled, spacious cabins. 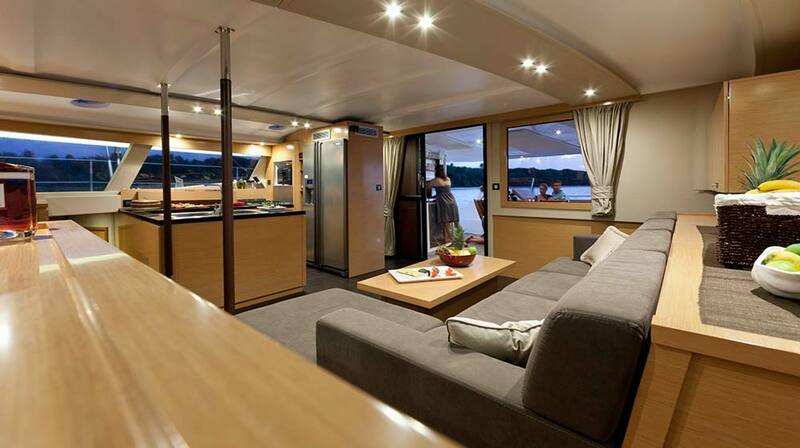 Offering spacious and luxurious accommodation for up to 10 guests, the TradeWinds 50 comprises five beautifully furnished private cabins, each with queen-sized beds and ensuite bathroom and shower. 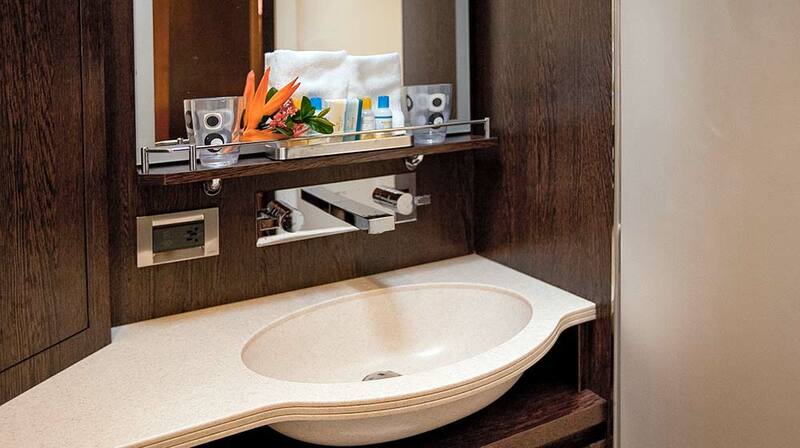 Let our fantastic crew of two pamper your every need. 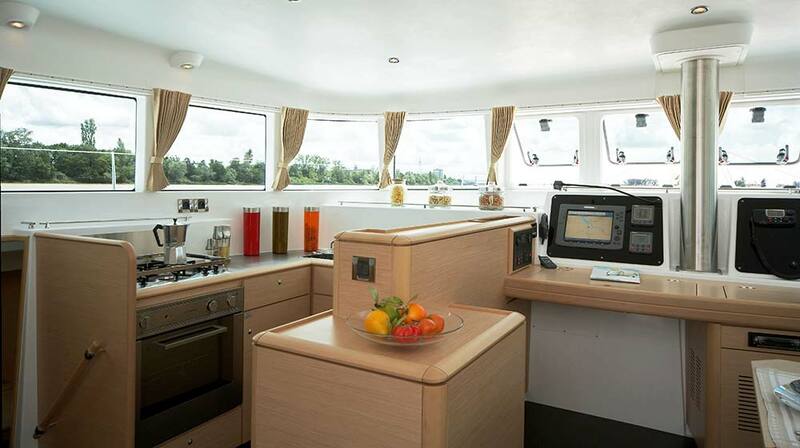 Your Chef will prepare fabulously fresh gourmet delights using locally sourced ingredients, and your Captain will take you on an unforgettable journey of discovery! 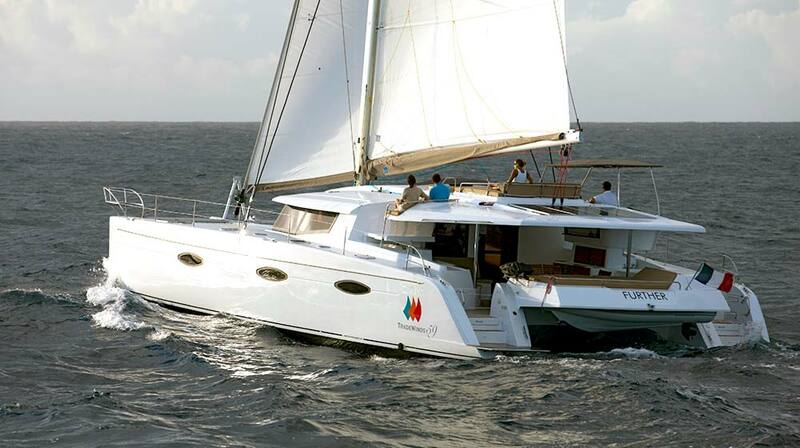 Leave the shore behind as you cast off for an all-inclusive, seven days of fun, excitement and adventure on board the Lagoon 500, part of our Cruising Class range. 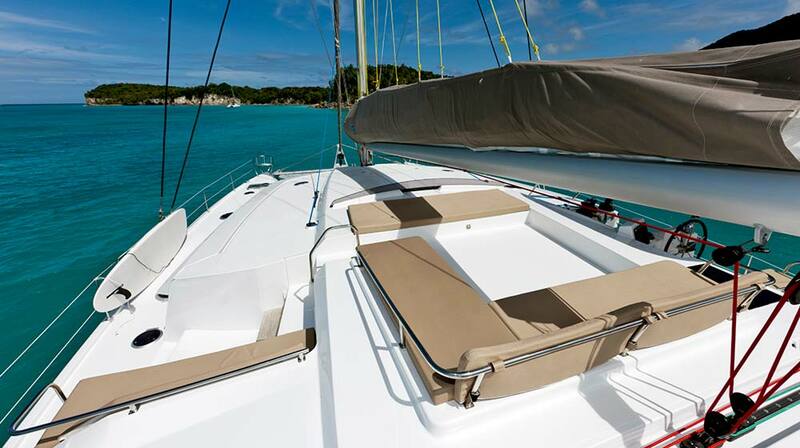 Based in the Caribbean, enjoy excellent offshore sailing, high performance and luxury. 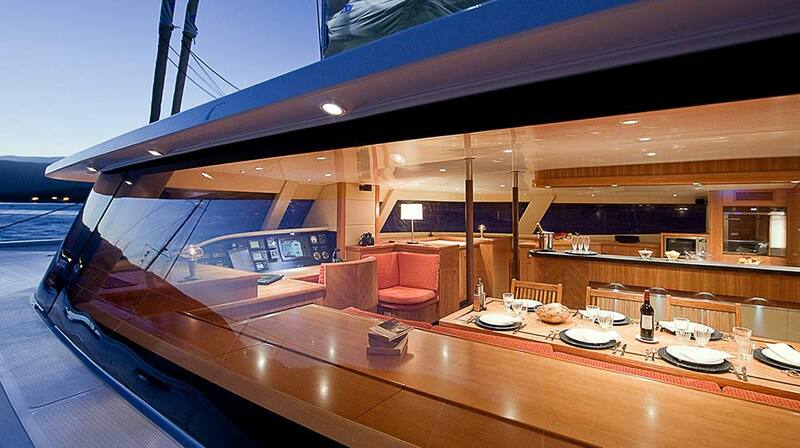 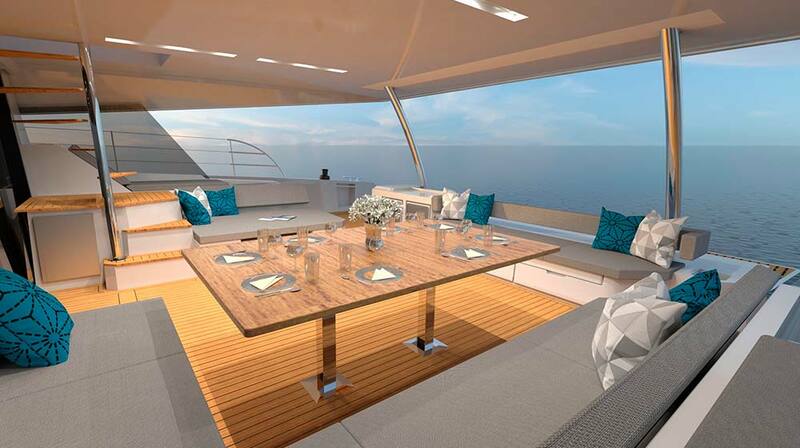 Take to the helm or sit back and watch the world pass you by, all from the comfort of your yacht. 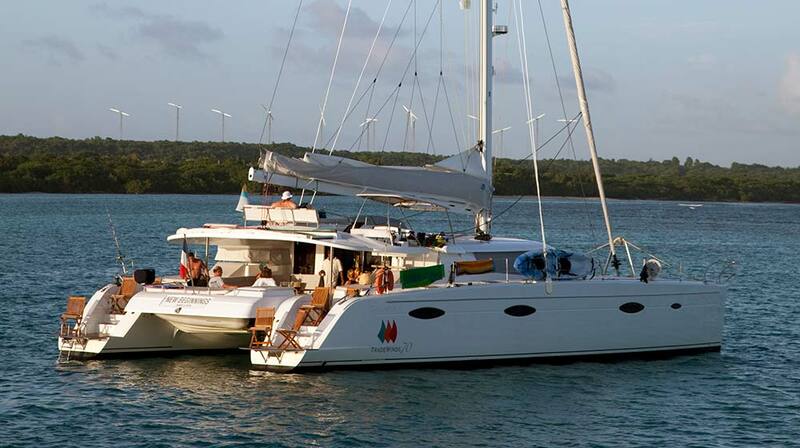 The Lagoon 500 is a thoroughly modern cruising catamaran, a perfect addition to our fleet! 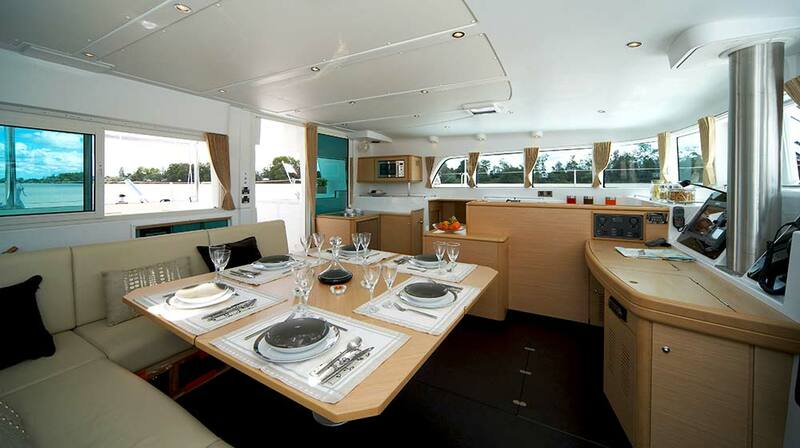 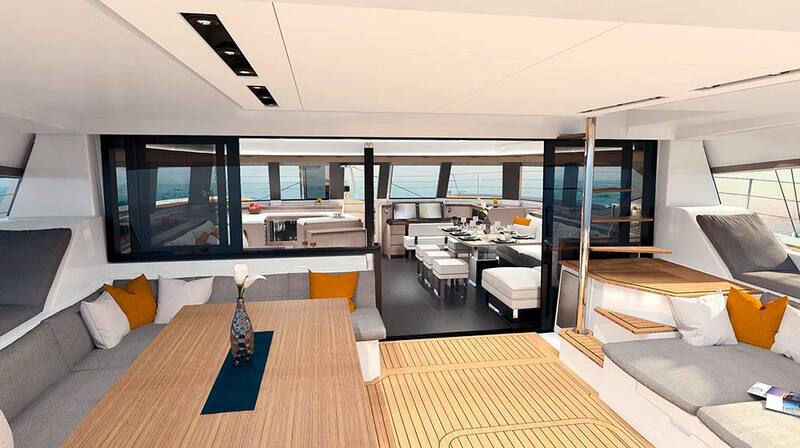 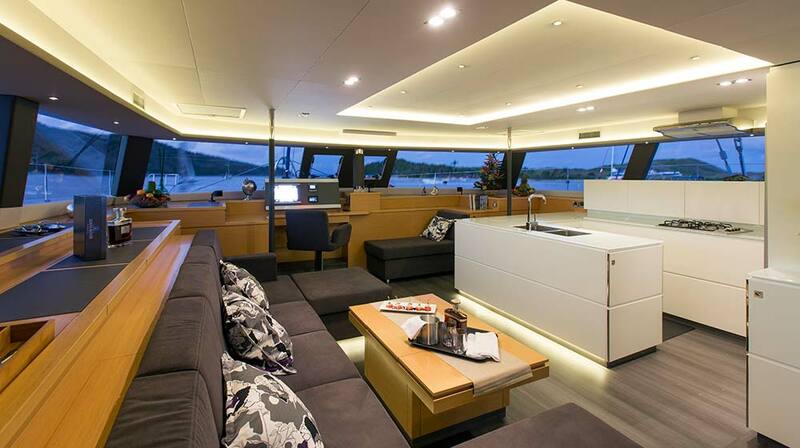 As soon as you step on board, you’ll see that the Cruising Class Lagoon 500 is no ordinary catamaran. 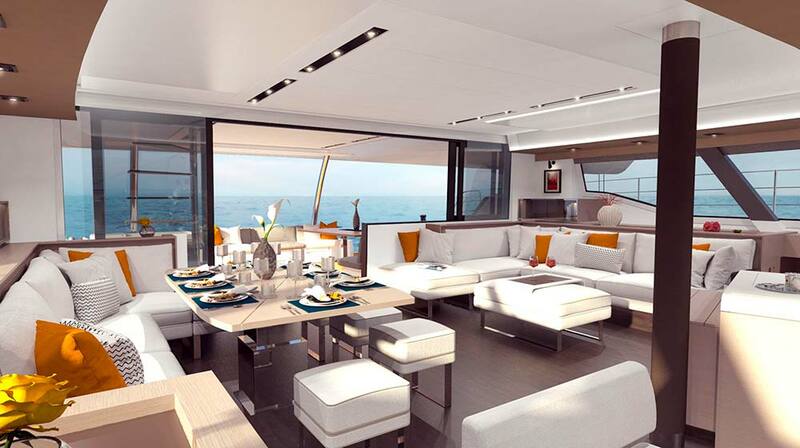 Offering a generous living space, enjoy freshly prepared gourmet cuisine at any time of the day in comfortable surroundings, and enjoy Captain’s Cocktails on the flybridge while you watch the stars twinkle in the night’s sky. 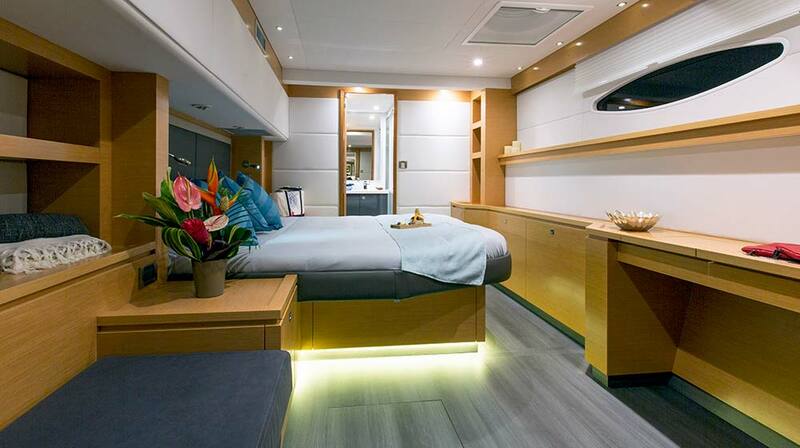 With an impressive level of luxury and space throughout, the Lagoon 500 has five spacious luxury cabins each of which have queen-sized semi-island beds and private ensuite shower and bathrooms. 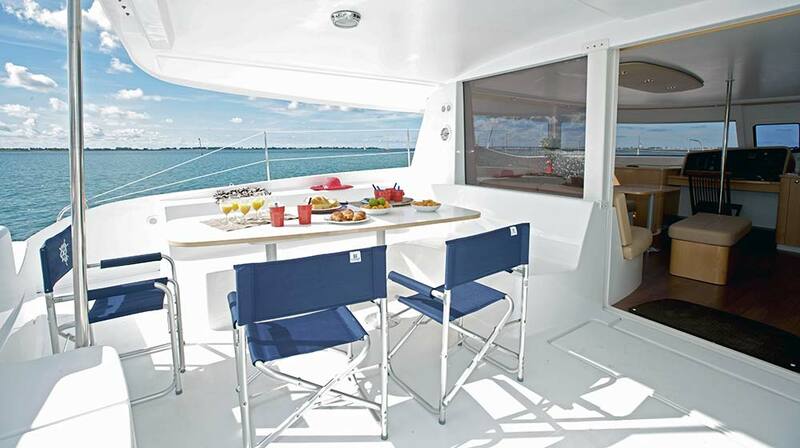 Our professional and dedicated Captain and First Mate/Chef will look after your every need so that you can enjoy a real taste of all-inclusive cruising on board the Lagoon 500.